When Hines was first incorporated in 1936 the primary focus was produce sourcing, packaging, distribution, and logistics. Norman Hines handled the sales and organized the transportation logistics for a group of local farmers in Utah along the Wasatch front. 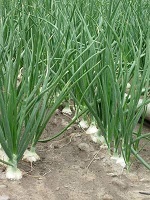 Hines specialized in onions, potatoes, grain, wheat, and soft fruit. Many of the farmers Norm dealt with did not like the packaging side of the business so Norm along with two partners opened three packing sheds located in Tremonton, Layton, and American Fork, with the grain distribution in Fillmore Utah, and the main office still in down town Salt Lake City. Norms only child Terry, was not too far off Norm's heels for most of his childhood going from shed to shed and from one farm to the next all over the country side. Terry learned that good relationships built on hard work, being fair, honest, and having high integrity were the most important part of a successful business. Terry worked part time for his father after school and during the summers until 1961 when Terry started full time. About this time the potato, and soft fruit deal were becoming less successful so more time and energy was put toward the onion and grain operations which were growing and becoming more successful. Soon the sheds in Tremonton and American fork were shut down. Grain elevators were built in Fillmore to accommodate a larger grain operation and a new onion shed was built in Layton to accommodate a larger onion operation. Transportation has always been a big part of what Hines does so there has always been people in the office figuring out how to get things from point A to point B, negotiating rates, and making sure things get there on time. In 1974 Norm passed away. On top of mourning the death of his father and best friend, Terry was left scrambling to run the whole operation himself. Terry’s first born Alex was not too much different than he had been as a child, as soon as he could walk and talk he wanted to go to work with his dad. In 1997 Alex started full time. Today Alex and Terry are still running Hines and the primary focus is still sourcing the highest quality produce for packaging and distribution, and dependable transportation logistics.